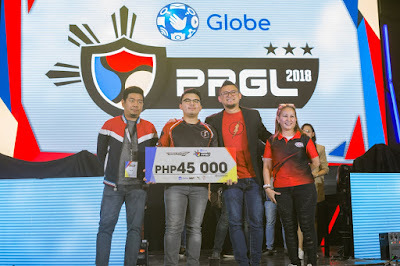 Globe PPGL Season 3 Grand Finals winners from different esports tournament including Arena of Valor, Tekken 7 and League of Legends bags over P400,000 in cash prizes. 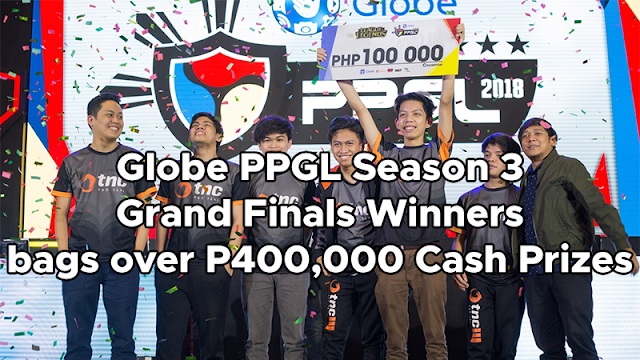 It was a weekend of nail-biting matches as rivalries and rematches took center stage at the Globe PPGL 2018 Grand Finals. 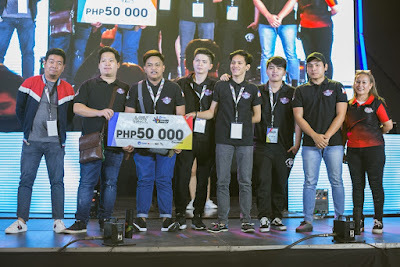 The best teams and fighters from all over the Philippines met at the Glorietta 2 Activity Center for a 2-day competition that saw new Esports kings crowned and 9,000 fans come out to watch it all play out. In a stunning upset, Andreij “Doujin” Albar, finally defeated fellow teammate and two-time defending Globe PPGL 2018 Tekken 7 grand champion, Alexandre “AK” Laverez to become this year’s Tekken 7 Champion. “Keep on fighting and continue practicing. You’re strong. Even though you ended up in second place this time, it doesn’t mean that you’re weak or what. Always think that you’re strong because it’s true,” Doujin told his defeated teammate, who broke down in tears after his defeat, the first he experienced in his entire PPGL career. It was a weekend of surprise for the Arena of Valor competitors as well. Though MaxBox Gaming is widely considered to be a rookie in the league, they still came away with the top prize for AOV, beating BREN Esports 3-1. Two stalwarts of the Philippine Esports landscape, TNC Pro Team and Mineski went head to head for the League of Legends crown. Playing late into the night, neither team was willing to give in without a fight to the finish. 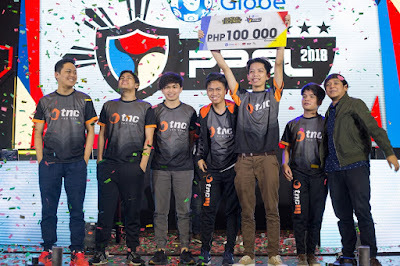 It was the TNC who ultimately secured the 3-2 victory, claiming their revenge against Mineski and securing the Globe Philippine Pro Gaming League Season 3 championship title. Want in on the action? Globe Prepaid customers can get their game on with free 2GB data for Arena of Valor when they register to GoSURF50 and up, GOSAKTO70, GOSAKTO90, GOSAKTO120 and GOSAKTO140! They can also use the free 2GB for other games such as Mobile Legends, Clash of Clans, and Clash Royale, as well as video streaming on YouTube, Netflix, HOOQ, Cartoon Network, Disney, and NBA. To register to the promos included in this offer, simply dial *143#. What can you say about the winners on Globe PPGL 2018? Let us know in the comment section below.